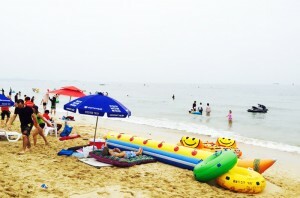 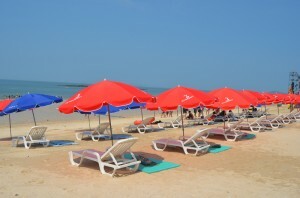 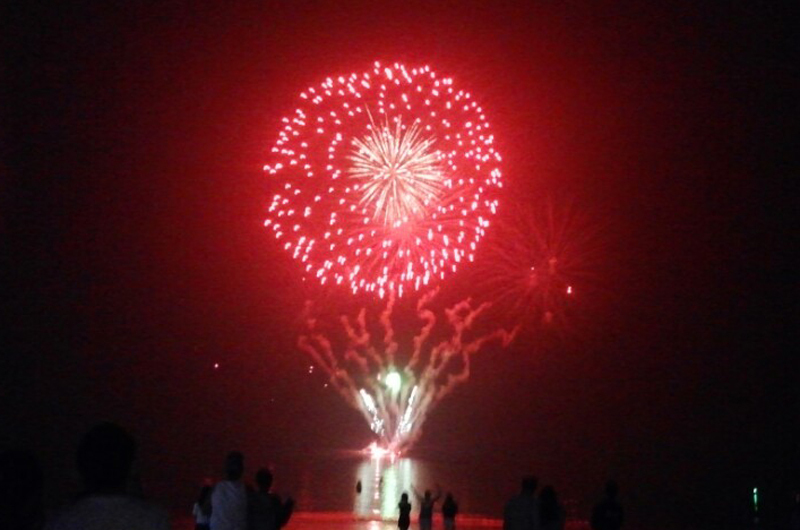 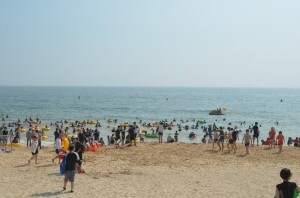 Daecheon Beach is located on Korea’s west coast in Chungcheongnam-do Province. 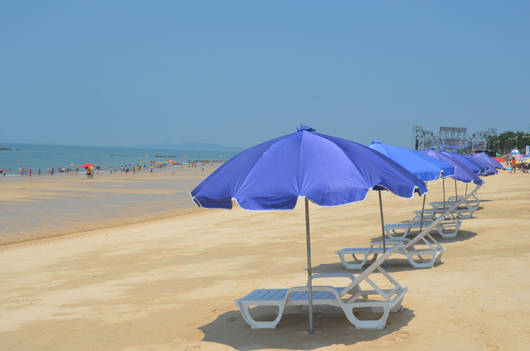 Clamshells blend into the white sands of this beach that stretches 3.5 km. No matter if it’s high or low the tide, visitors can enjoy the waters anytime. 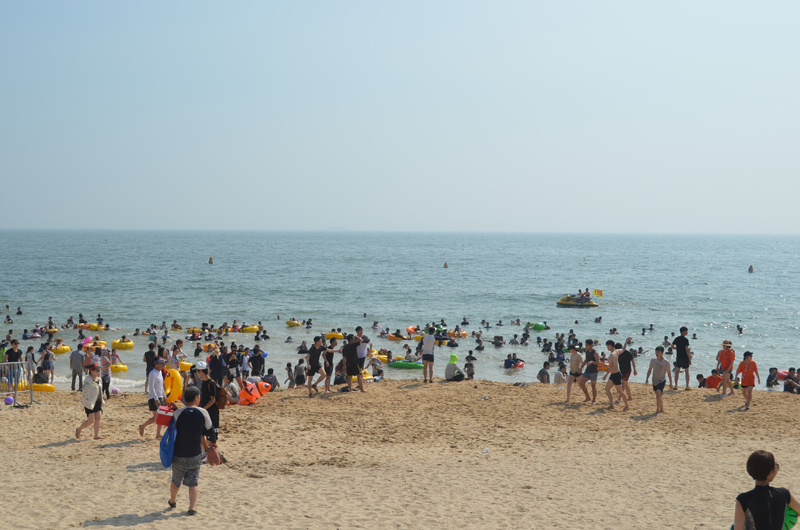 A cruise boat sails in the waters off Daecheon Beach, offering visitors a view of white pebbles that line the ocean floor. 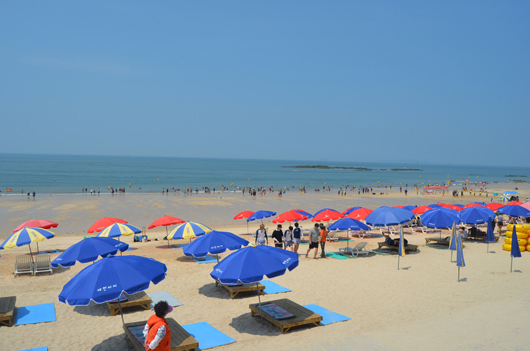 This spot has been a popular tourist destination for quite some time and the facilities are well made. 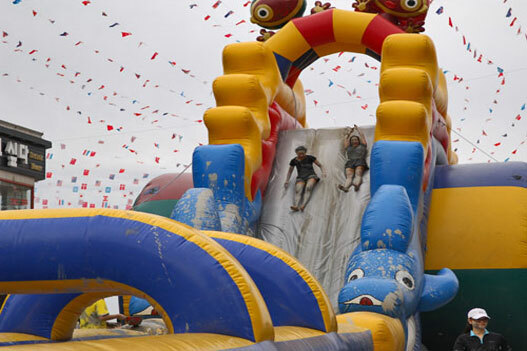 Cultural points of interest include Jogak (sculpture) Park and Dol (stone) Park. 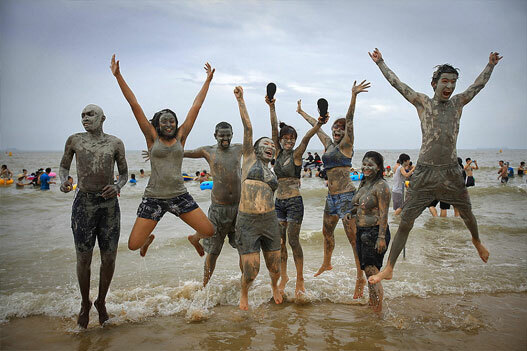 Most people come to this beach to cover their bodies in the thick, mineral-rich mud. 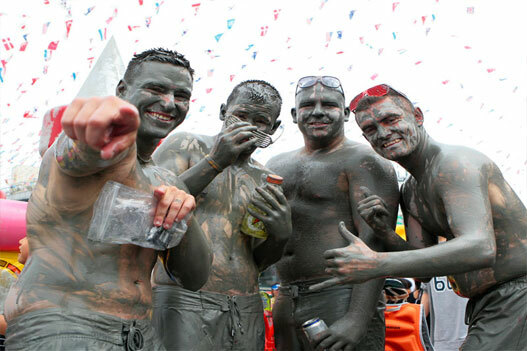 The therapeutic treatment is known to improve the look of skin and is even said to help those suffering from skin disorders. 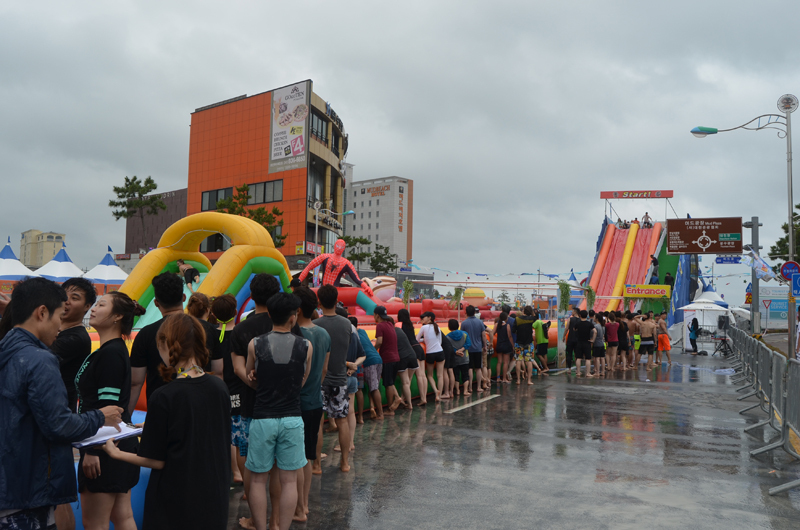 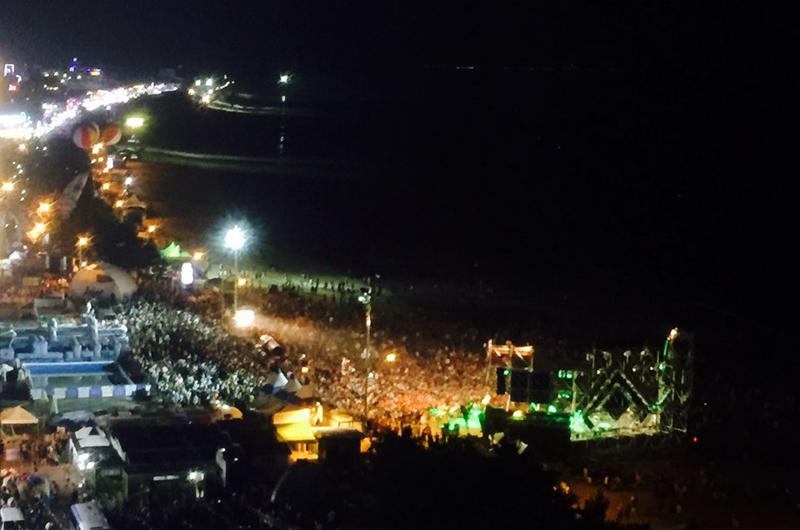 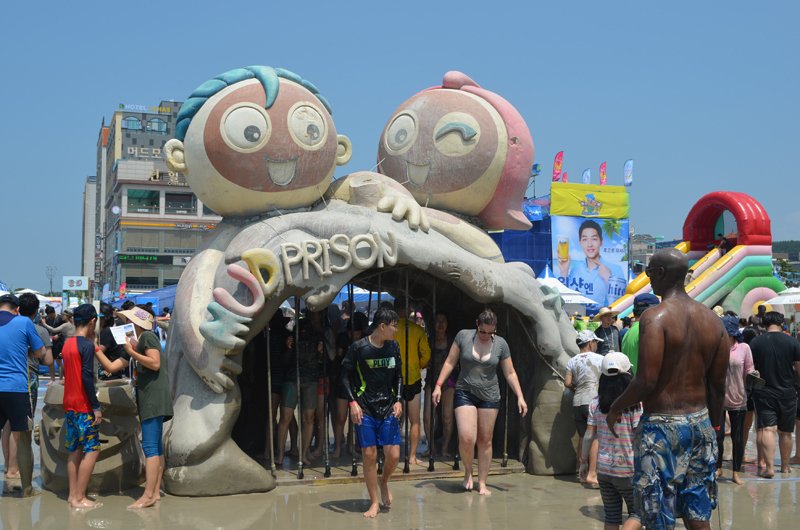 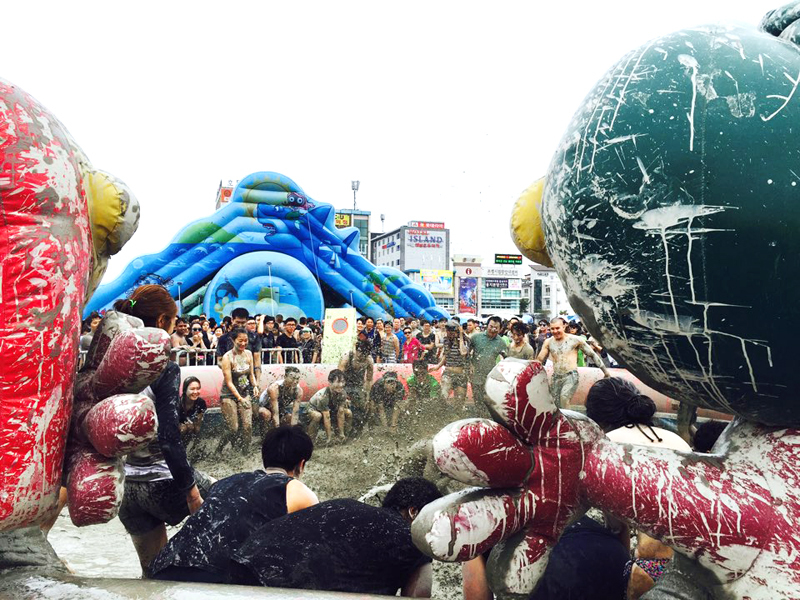 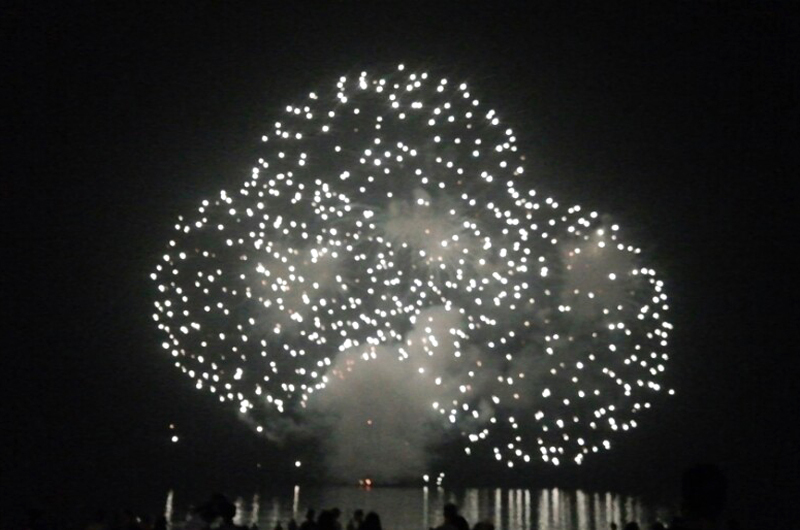 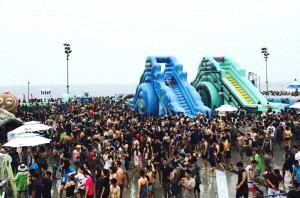 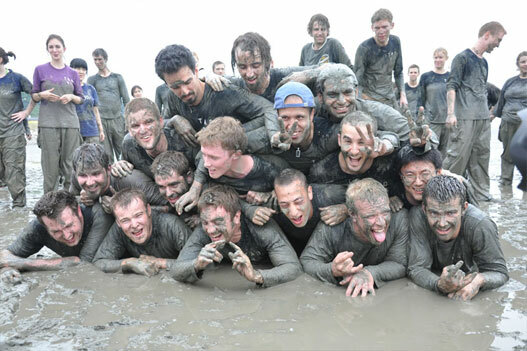 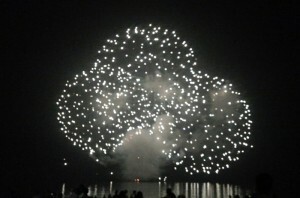 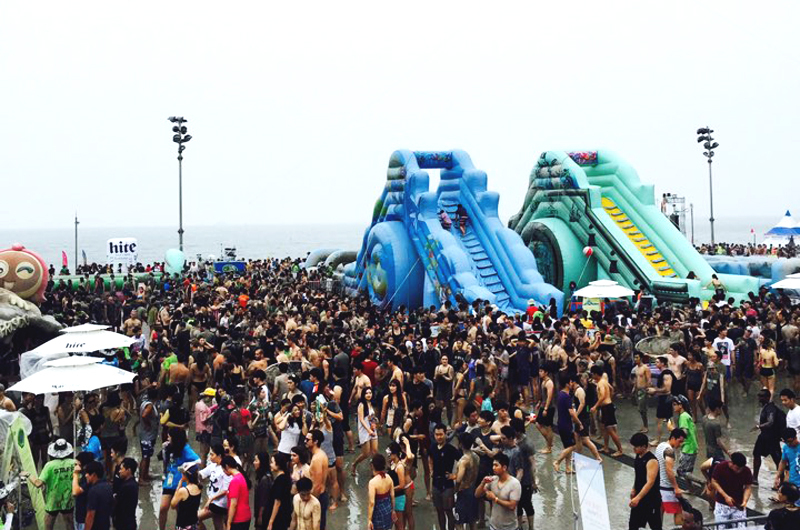 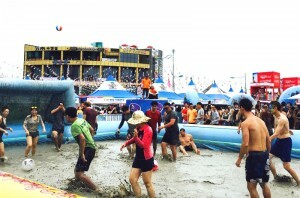 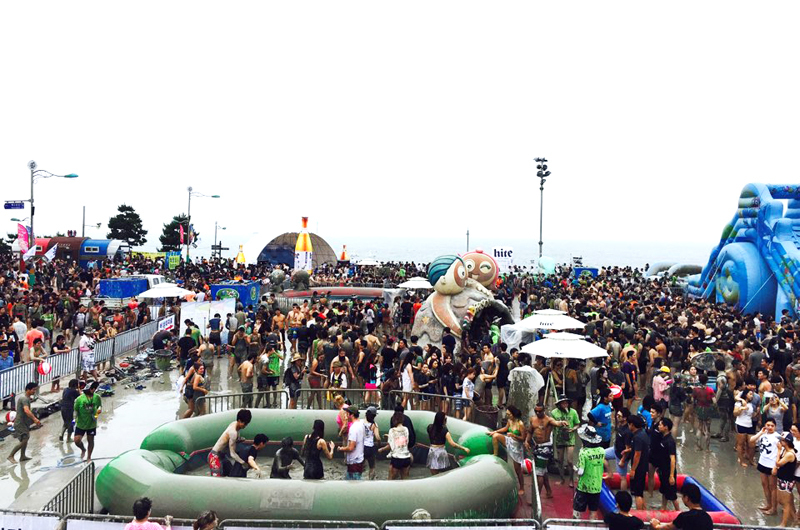 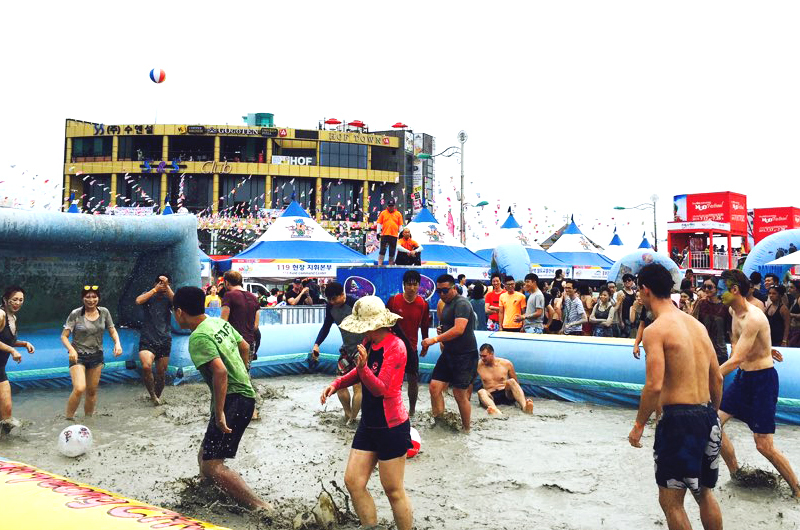 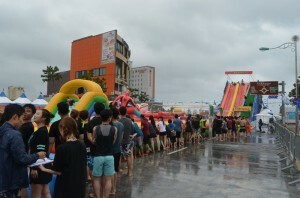 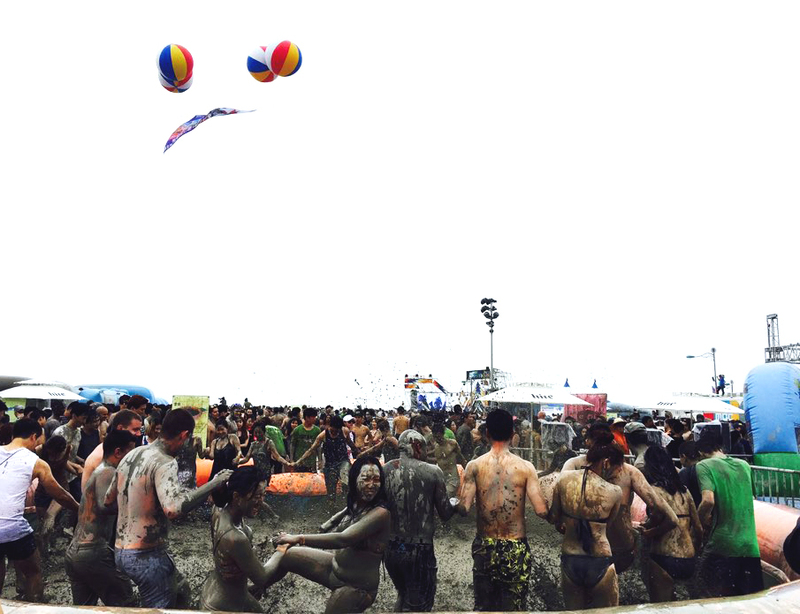 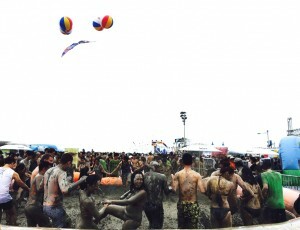 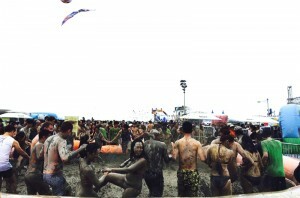 Every year, Boryeong Mud Festival attracts lots of international visitors to Boryeong. 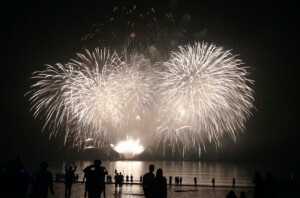 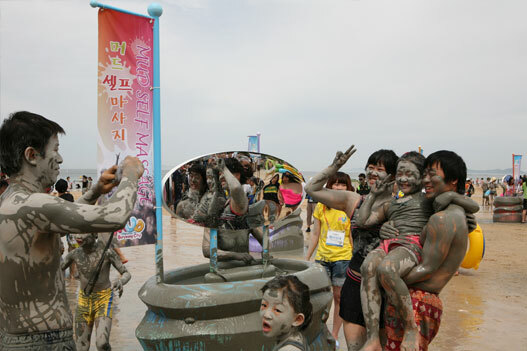 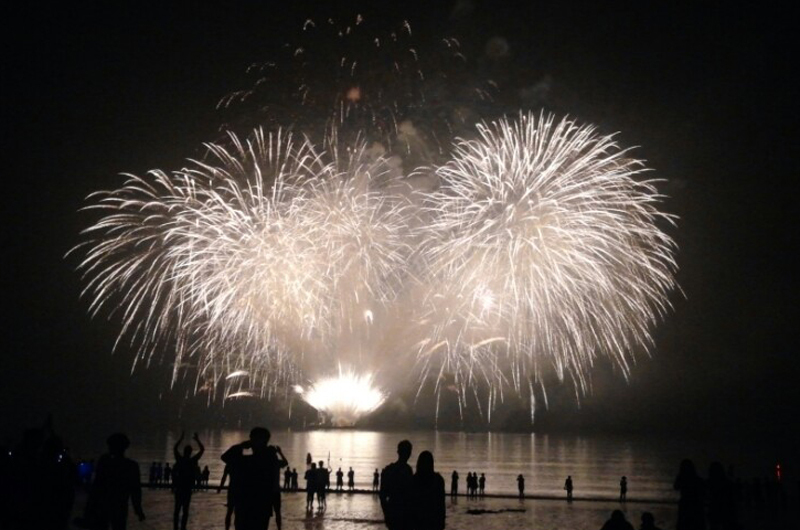 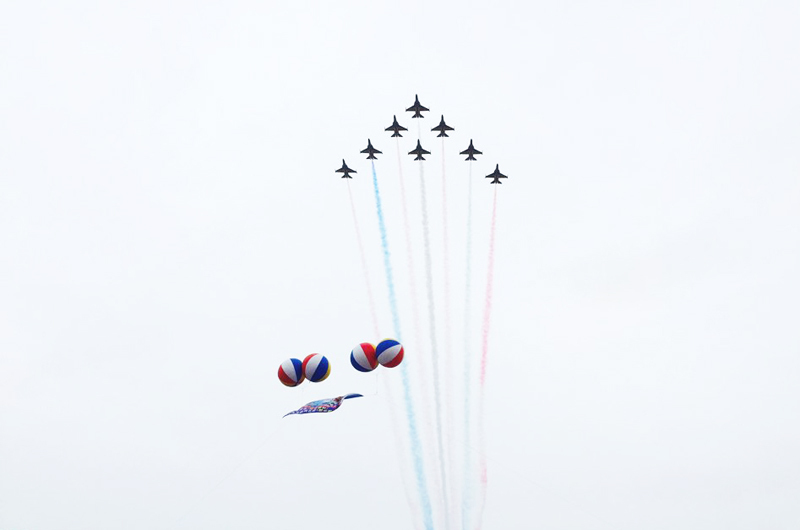 During the festival many people come to Boryeong to experience the beneficial of Mud due to plenty of mineral and germanium than other region mud. 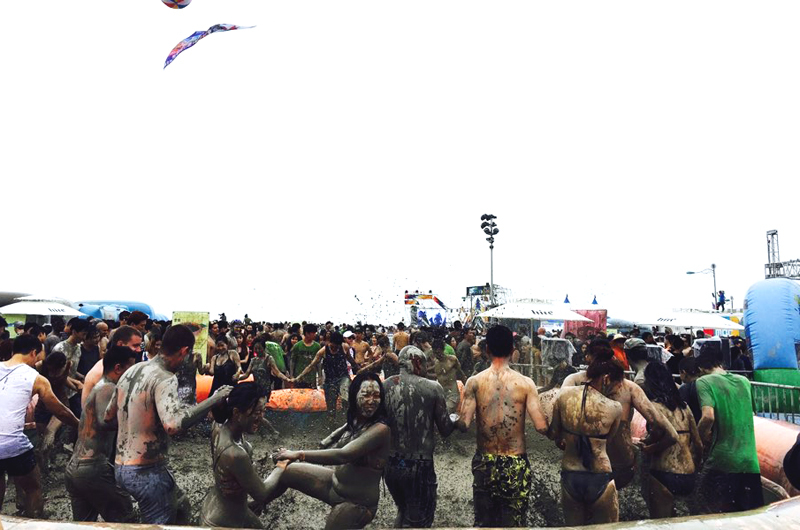 Everybody enjoy mud wrestling, mud sliding and even swimming in the mud tub. 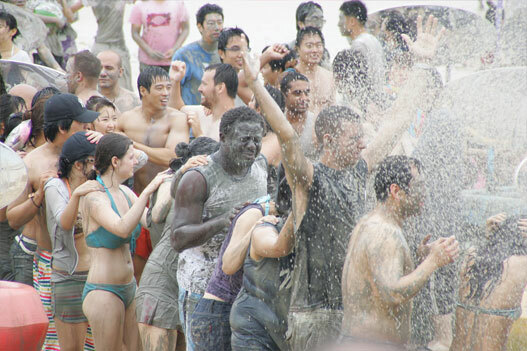 Also there are many other programs during festivals. 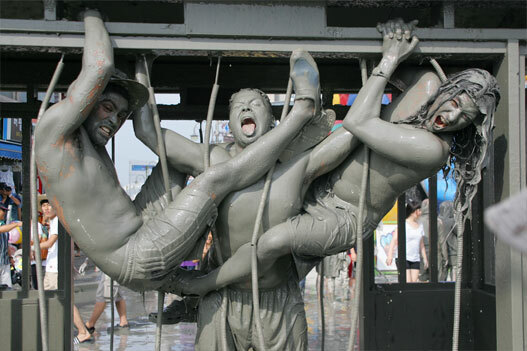 **Please arrive at the boarding area on time. 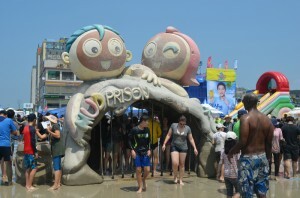 – Showering at the drinking fountain and restroom is not allowed. 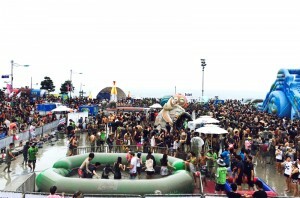 *Below facilities operates during festival only!